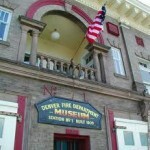 If the heart of a great museum is its subject, then the Denver Firefighters Museum is truly one of the greatest in the world! 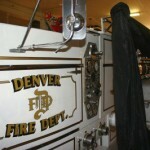 The Museum offers not only outstanding exhibits on the history of firefighting in Denver focusing on the Denver Fire Department, but innovative and exciting hands-on activities that allow visitors to interact with the traditional exhibits. From groundbreaking state-of-the-art gallery space to engaging programs and special events, there is always something new to explore. Our outreach programs aim to bring the museum into your classroom, day care center, camp, or other educational setting through both In-Class Presentations and our Discovery Trunk Program.